Hotels in Kolkata mostly fall in the mid to upper-ranges. Budget options are harder to find, but there are some good choices around Sudder Street and Howrah Station. Accommodation in this category is typically housed in aging colonial-era buildings. Both the Sudder Street and Howrah Station areas are well-connected to the public transportation grid, so backpackers can easily get around. However, the best lodging options are available to travellers who are at least willing to sign up for something in the mid-range category. Mid-range rooms will have an air conditioner, which is a necessity during Kolkata's hot season. This bracket of accommodation is also likely to be much cleaner than its budget counterparts. Opposite this, luxury hotels in Kolkata are the only ones that really deliver what their customers are paying for. Four- and five-star options are appropriately priced for their level of service and amenities, providing much better value for money than their budget and mid-range counterparts. 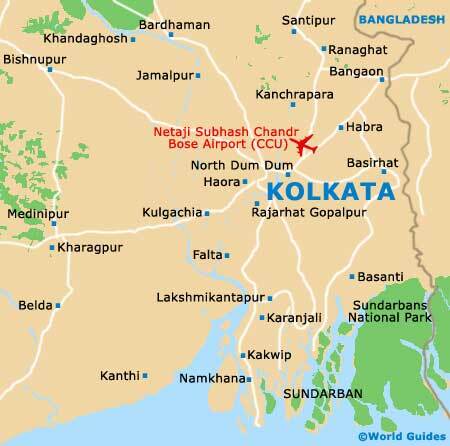 The best selection of Kolkata accommodation is to be found in Chowringhee, Alipur and on the AJC Bose Road. 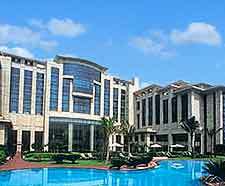 One of the finest hotels in the city is the Oberoi Grand. This is where diplomats and heads of state stay when visiting Kolkata. Close by is the Park Hotel, an ideally located boutique option that's well-known in Hollywood's elite circles. Deluxe hotels such as these operate restaurants and popular nightclubs, often serving as anchors in key downtown districts. Less extravagant but still worthwhile is the Middleton Inn. It's located in Chowringhee, where it offers clean rooms and straightforward service at competitive lodging rates. This choice is joined by Fairtown Hotel, an older and better-known accommodation option. Hotels like these may not have fine Victorian furnishings or balconies with views, but they are clean and comfortable. This is the reason that quality mid-range hotels in Kolkata are regularly booked to capacity.